I have added color and Volatility Channels (Keltner-ish) to the popular ADXVMA. You can select your colors for an Up trend, Down trend or Neutral. 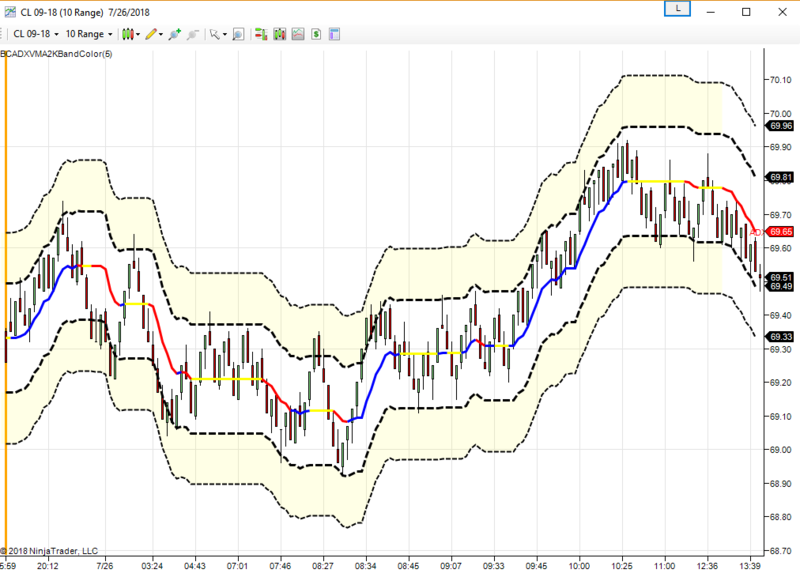 The Volatility Bands can be colored and set to the multipliers that you prefer. In the picture, the ADXVMA is set to 5 periods and the bands are set to 1.618 for the inner band and 3.14 for the outer band. When the center line is yellow, the trend is not defined. I have found that a touch of the band with a yellow center will reject. I hope that this helps you with the chop.